The Beagle Lab mix is a designer crossbreed will a playful personality, ample brains and in some cases, a mind of its own. 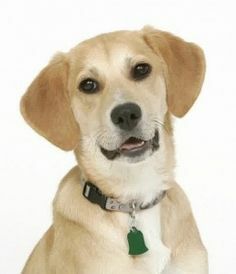 Made up of a cross between the ever playful Labrador and the adorable yet independent Beagle, it also goes by the names Labbe, Labbeagle or Beagador. If you are debating getting one as a new member of your family, I would have a read over the next few paragraphs. 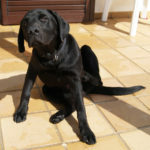 We will look at a few key features of the Labbe to help you decide if this is the dog for you. 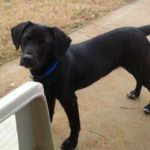 How big will my Beagle Lab mix be at full size? 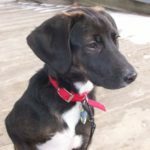 How easy will a Beagle Lab mix be to train? 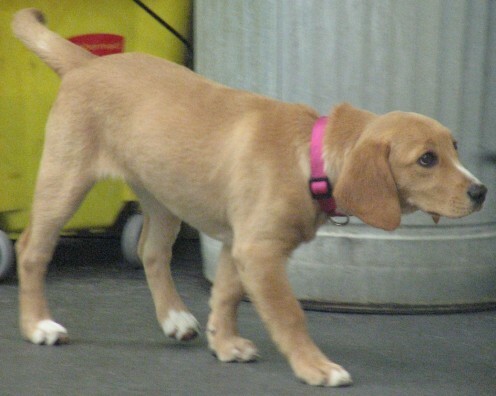 A Beagador puppy should grow into a medium-sized, chunky adult although there can be some variation. Labradors vary from thinner, more racy individuals that are the ‘working strain’ variation; dogs that are designed to spend all day working in the field collecting game shot by their owners. At the opposite end of the spectrum are the show type Labs – big, chunky dogs that carry far more weight. 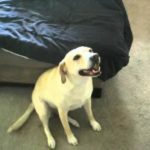 These Labs can top the scales at a hefty 80 lbs (36 kg) at adulthood, while also reaching a not too shabby 24.5 inches (62 cm) at the shoulder (as per the American Kennel Club standard). with a maximum height of 15 inches (38 cm). The result of putting these two together? Your best bet is to look at the parents, especially the Lab side of the equation. As a rough estimate, they are likely to range from between 19-24 inches tall (48- 61 cm) with a weight range of 25-45 lbs (11 – 20 kg); making them a medium-sized dog. Despite this, remember that there are no guarantees when producing a cross and there can often be a wide variation between a single litter of puppies! 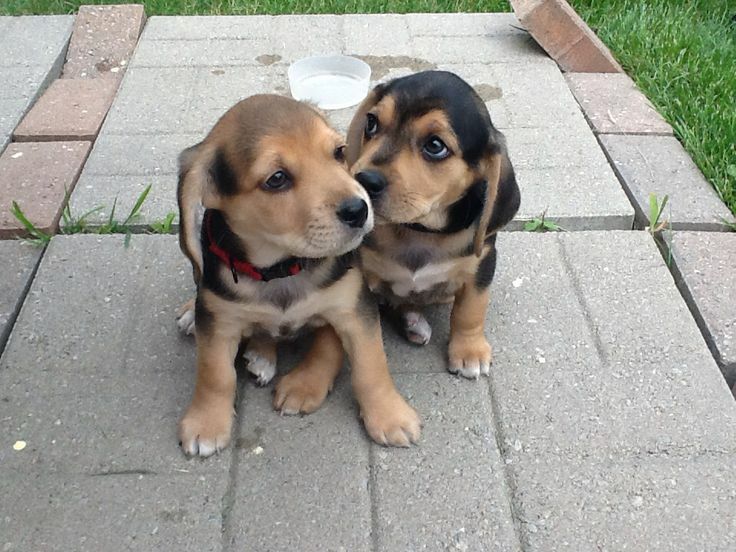 Like many pedigrees, both the Beagle and Labrador have their fair share of problems. When buying a puppy, ensure that both parents have still been health tested. 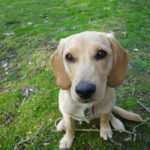 Major problems for the Labrador and Beagle include hip dysplasia and degenerative eye conditions; both of which are hereditary. This means that the problem can be passed down from the parents to the puppies. 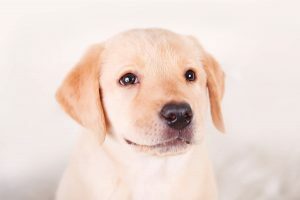 The American Kennel Club provides a list of health checks that breeders should adhere to, ask the breeder to see the relevant paperwork before you buy. 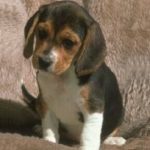 It is easy to get carried away when faced with a litter of adorable puppies, but problems such as hip dysplasia can cause your little bundle of fluff a world of pain when they mature and could result in them needing surgery. At the end of the day, always ensure your little Labbe puppy has been bred not just for looks, but also health and temperament too. 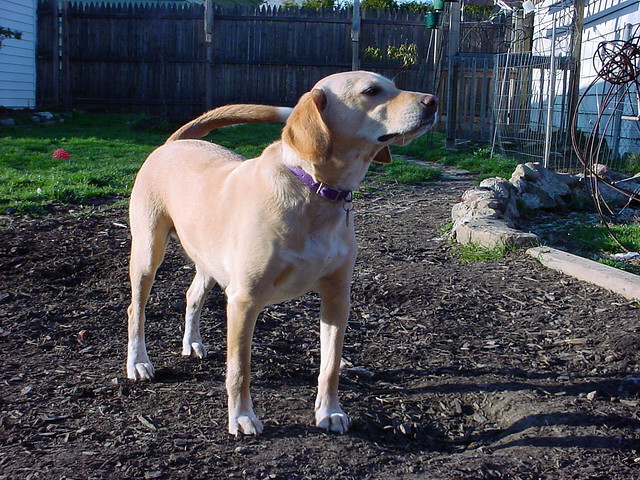 The Labbeagle is a mix of two very different types of dog. On the one hand, you have the Labrador; a powerful, agile gundog that was historically bred to spend the whole day out in the field retrieving game shot by his owner. 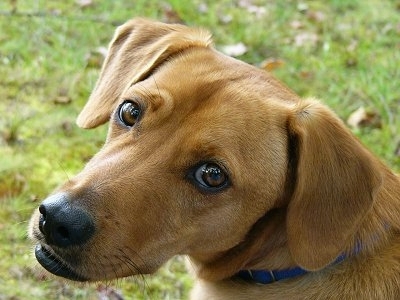 They are used to being exceptionally obedient, responding to commands in an instant. In contrast to this is the Beagle who needed to be capable of independent working, using their exceptional sense of smell to track prey and hunt it down with little input from people. 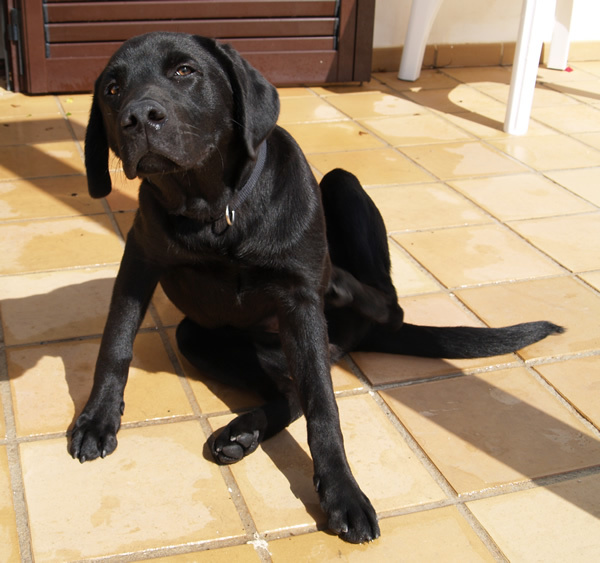 With such a variation between the two parents, your Labbe puppies personality can be a little unpredictable! 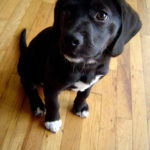 You may have a pup that enjoys learning and in some respects is easy to train. Yet be prepared that you might also have a puppy that develops selective deafness should something more exciting come along! 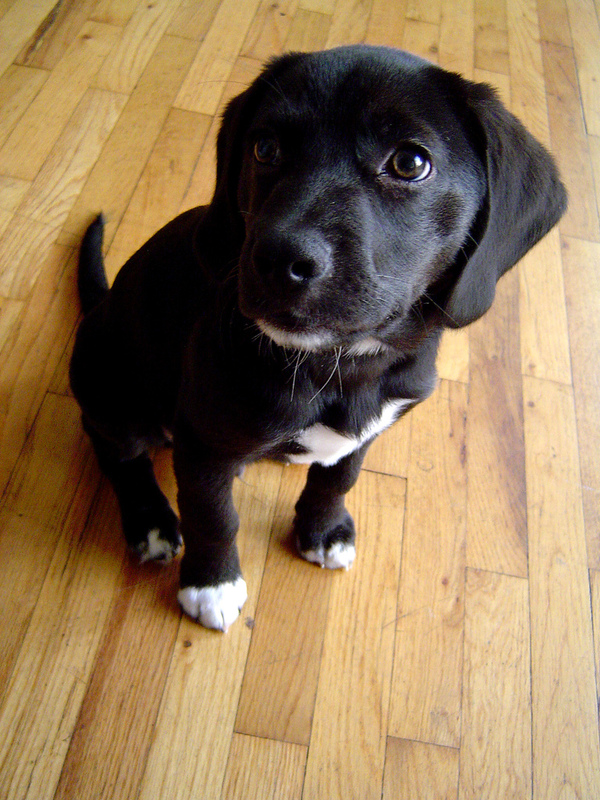 A Labbe puppy and adult can often have a mind of their own, something a new owner should be prepared for. Of course, this situation can be mitigated by ensuring your puppy attends training classes as soon as their vaccines have been completed. 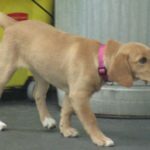 Not only will they learn to respond to commands amid distractions, but it also provides a safe environment for them to socialize with other dogs. Just remember a key point with this breed, never let them off leash until you are 100% sure their recall is in place. Otherwise, you could find they take you hunting for the day! 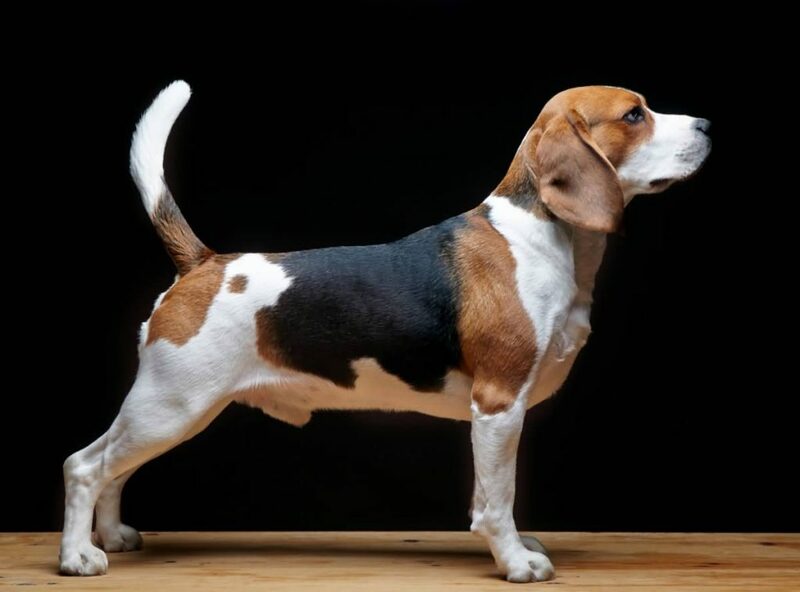 In addition to following a scent, Beagles were bred to ‘bay’; i.e., give tongue (voice) when hunting. They can be incredibly vocal! Due to this hunting instinct, spend time with your puppy introducing them to tempting quarries such as cats, rabbits, and other small mammals so that they learn not to chase them. Cats especially will soon make a break for it and if your Beagador decides to give chase, not only could they hurt the cat but they could also hurt themselves if they run into a road. 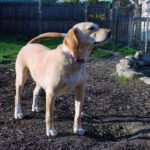 Both the Beagle and Labrador have short, no-nonsense coats suitable for an active working dog. However, do not be deceived by this. 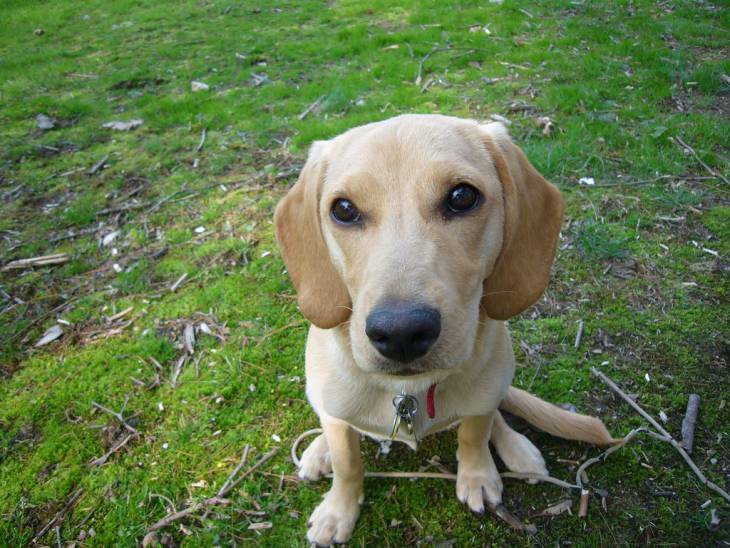 Although short, your Beagle Lab is likely to shed lots of hair, particularly when the seasons change. Modern, centrally heated homes can make this problem worse, so invest in a grooming glove (or ‘mitt’) that you can run over the coat to remove dead and loose hair. Not only will this help keep your home cleaner but it can also help cut down on the hoovering! 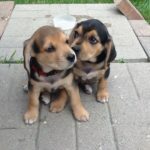 If there is one thing most Beagle Lab owners will agree on, it’s that they are an excellent choice if you have children. 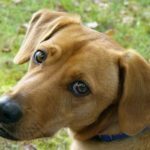 Both breeds have been bred to work well with people, and this easygoing nature ensures that as long as the children are well behaved, your dog will be too. Cuddle time is a winner with this mix, and they are also exceptionally loyal. Of course, it is important to remember that this temperament will come from you puppies parents too, so again make sure you meet them before you buy. Pomeranians, Chihuahua’s and Pekinese are all dogs made for small homes and occasional walks. 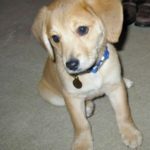 If this sounds like your sort of dog, do not get a Labbeagle! 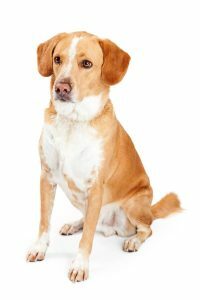 This breed has a strong working instinct gained from both its parents, resulting in a dog that needs not only physical exercise but mental stimulation too. 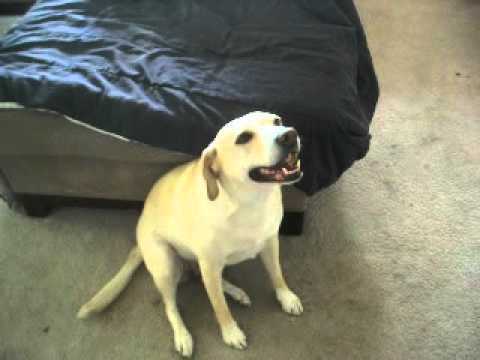 If these needs are not met, the result can be a noisy, destructive dog capable of doing some serious furniture damage when you are away from home. 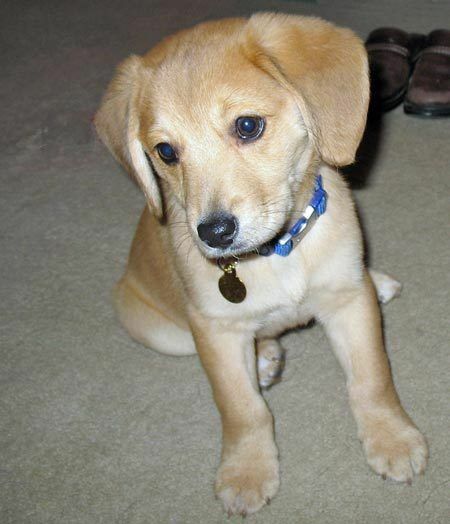 Try to avoid leaving your Beagle Lab mix for more than a few hours at a time. 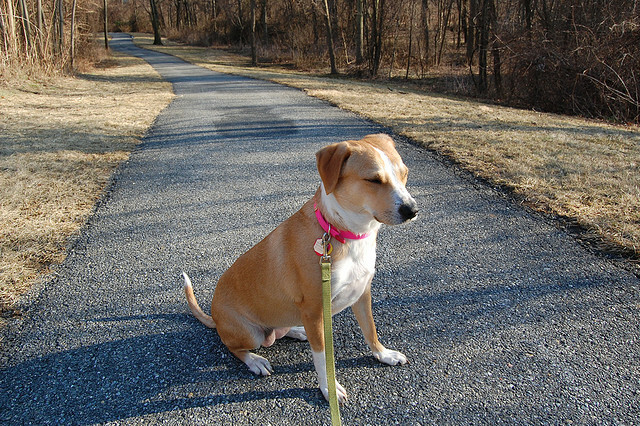 I would aim for two decent walks a day (one hour each); this is the bare minimum that they should receive. This will ensure that they can stretch their legs, meet other doggy friends and have a good sniff around to work that fantastic nose of theirs. This regular exercise will also ensure that they avoid becoming overweight. 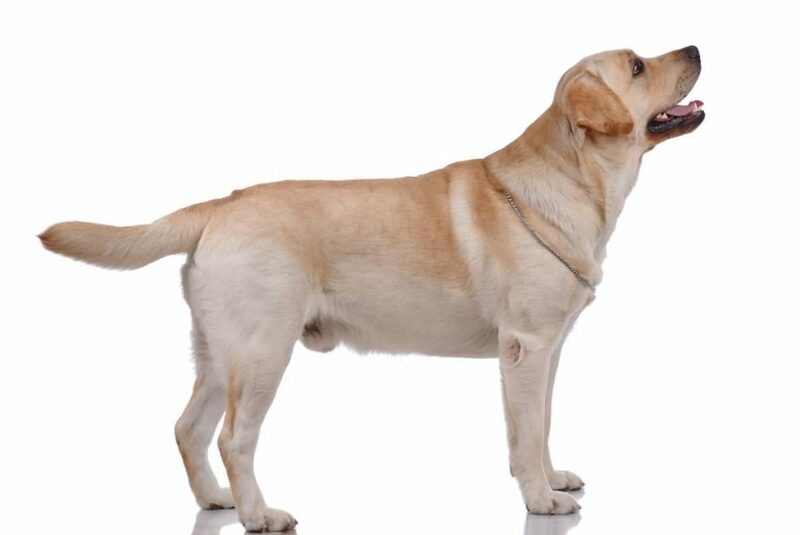 Both breeds are ‘foodies’ and Labradors, in particular, are known for eating everything they can including non-edible items. By ensuring they have plenty of free running time, you will keep off the pounds. An obese dog is not only at risk of weight-related diseases such as diabetes and arthritis, but ultimately they will have a shorter lifespan too. 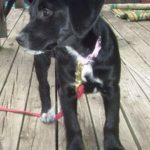 If your idea of a dream dog is a loving sofa companion that will also enjoy spending several hours each day galavanting around the countryside with you, then a Labrador-Beagle mix could be the dog for you. Just remember to put in the hours with the training in the early days, and you will be rewarded with a well-mannered pet in the long run. 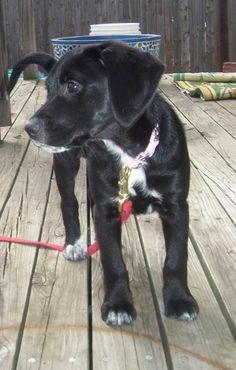 Own a Labbe already? Thinking of getting one? Let us know in the comments below! Hi. We just came across this breed today. What a beautiful dog. Perfect size. 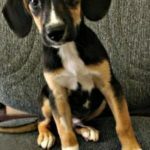 By chance is there a breeder near Southern California? Thank you! 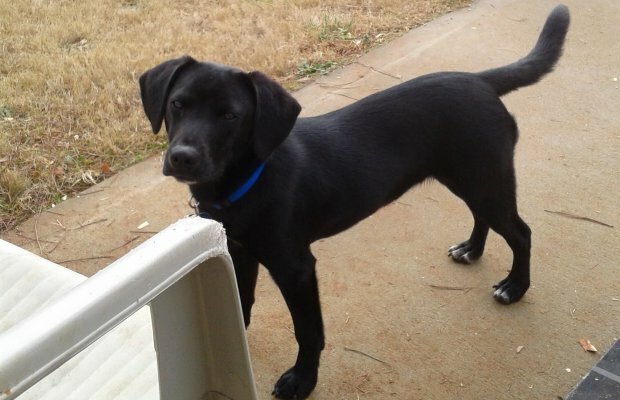 I have a lab mix with beagle!!! They get bored and chew stuff that’s in there way. I suggest y’all looking for feed back. This is a amazing dog! I adopted a 6 month old beagador last December. She has been wandering the streets and was skin and bones. She’s big now, 55 pounds (I think she’s part horse also ). How anyone could have just lost or mistreated her is beyond me. 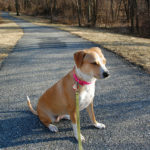 Daisy, is loving, funny, gets along with our 2 cats and 1 small dog. Yes, she has loads of energy and I’ve lost 4 pair of shoes because she chewed them up. She likes to army crawl back and forth under my bed, then pop out to surprise me and “lickle” me behind my ears. Most of the time I’m cracking up at her clownish, silly behavior. She loves to hear me laugh and has the most adorable laughing, grinning doggie face. She takes a lot of time and attention. Loves to learn new tricks and show off. Right now she is snuggled beside me. I was very lucky to find our Miss Daisy and enjoy her love very much. curley200@yahoo.com. they need a good home. By beagle got under the neighbors fence and got pregnant by a chocolate lab. I will take picture of the father as well as have the mother for you to meet. She is 3 weeks now and I will be looking for loving homes for these puppies. My beagle is 6 years old and this is her first litter. She is the best dog I have ever know, she listens very well, loves snuggles, she is however over protective of children if you play too rough with them but otherwise the perfect dog. She is my child. The father listens okay, as he has used his huge head to knock open the back door of my house and jumped into bed with myself and my beagle. He is an outside dog with little human contact but over all a good dog when I give him commands and he loves playing with the kids in the backyard. I am about 10 miles from St. Louis, MO. on the Illinois side. 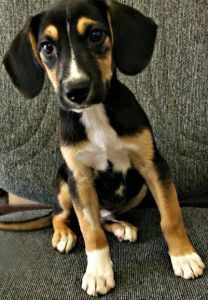 I’d love an email if there are any beagador pups up for adoption in 2018. Morgan@yogaunwined.com. Thanks!